Apologies for writing in English. Hilf bitte mit, in deine Sprache zu übersetzen. 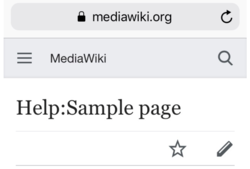 The new version of MediaWiki will be on test wikis and MediaWiki.org from 20 Meaz. It will be on non-Wikipedia wikis and some Wikipedias from 21 Meaz. It will be on all wikis from 22 Meaz (calendar). You can join the technical advice meeting on IRC. During the meeting, volunteer developers can ask for advice. The meeting will be on 21 Meaz at 16:00 (UTC). See how to join. The Wikimedia Cloud Services team is working on a new project called Toolhub. 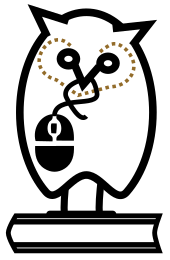 The goal is to make it easier for Wikimedians to discover software tools they can use. You can leave feedback on the talk page or email jhareVorlog:@wikimedia.org to leave private feedback. Sorry to use English. Hilf bitte mit, in deine Sprache zu übersetzen! Vielen Dank. 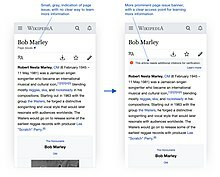 The new version of MediaWiki will be on test wikis and MediaWiki.org from 24 Juli. It will be on non-Wikipedia wikis and some Wikipedias from 25 Juli. It will be on all wikis from 26 Juli (calendar). You can join the technical advice meeting on IRC. During the meeting, volunteer developers can ask for advice. The meeting will be on 25 Juli at 15:00 (UTC). See how to join. 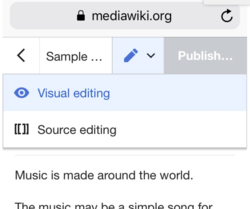 The new version of MediaWiki will be on test wikis and MediaWiki.org from 31 Juli. It will be on non-Wikipedia wikis and some Wikipedias from 1 August. It will be on all wikis from 2 August (calendar). You can join the next meeting with the Editing team. During the meeting, you can tell developers which bugs you think are the most important. The meeting will be on 31 Juli at 18:30 (UTC). See how to join. This has been posted here because your wiki allows local file uploads. Hilf bitte mit, in deine Sprache zu übersetzen. The Community Wishlist Survey. Hilf bitte mit, in deine Sprache zu übersetzen. De Seitn is zletzt am 27. Dezemba 2018 um 15:24 gändert worn.